Undecided on how to go about storing your valuables and belongings? Stressful eh? Well, read through this self storage tips and start a stress-free, simple and convenient storing today. Doing all the packing and moving by yourself sure isn’t easy. Especially, if it’s your first time doing it. That’s why you have a lot of questions like how should you go about it. As well as how do you choose the right storage facility for it? Then, these self storage tips will give you the answers that you’ve been looking for. This will give you the insights and ideas that can really be helpful for this venture. 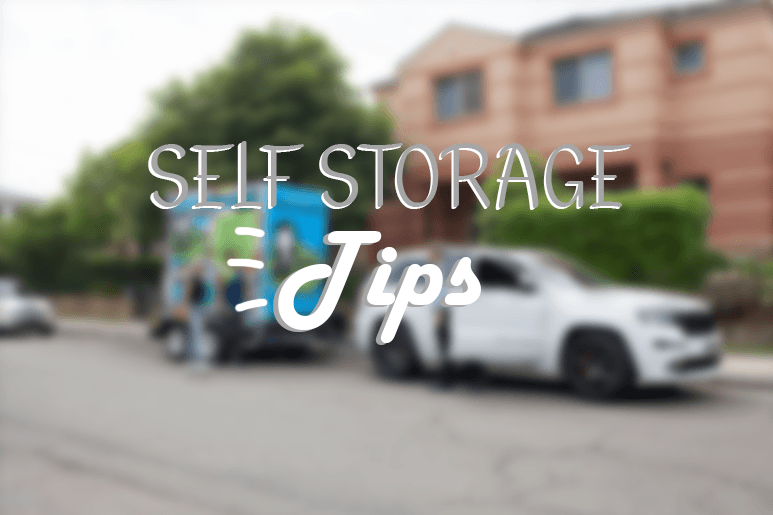 Here are the self storage tips to consider when you’re having a hard time thinking about how and where do you store your belongings. First of all, how about we do some planning first before doing anything? We should get everything right before we proceed to the next step. Especially, if our comfort and contentment are at stake. Everything must go smoothly without a hitch. So, before you cross the bridge to decide. Make sure that you have already set up a plan on how do you go about it. Also, you must include the storing team in the plan. We are happy to add some ideas and insights that can help you out. Planning with us will help you identify the unforeseen cost and problems that may arise during that time. You need to check your prospect self storage facility. Considering that you want your stuff to be safe and protected by the time you store it in that facility. Therefore, it is important to do some research if the facility can really protect your goods. You can’t just easily decide to store your belongings. We have to know that they have the right security measures that will protect your valuables. Furthermore, you need to check if the facility is suitable for your needs. Particularly if it’s clean and has climate control. And most importantly, if they offer re-delivery of your stuff after storage. Now that you already know how to choose the right facility. You have to inquire if how much does it cost to store your belongings. It is important to consider your budget. You don’t want to get ahead of yourself in storing. Moreover, you can’t simply pack your stuff, call the facility and go right ahead in storing. Instead, you need to inquire how much you have to spend for the time that your valuables are in their hands. Furthermore, it is not a loss to set aside some budget for later use. In fact, it is one way to be prepared for the unforeseen problems that may arise. One of the important self storage tips to consider as well is to set up a timeline. A detailed timeline in which you can see the corresponding work you have to do for a period of time. It is where you can manage every process that you have to do for packing and storing. Also, you have to include the team to the timeline. Let them know when are you going to pack your things and move it to the storage. As a matter of fact, they can help you a lot in that matter. For in the first place, that is one of the reasons why you hired them. To make everything easy and simple for you. But before you start packing, you need to have a list of items that you want to store. As well as the storage supplies that are needed for your belongings. Such as boxes, tapes, covers and bubble wraps. This will help you organise everything in your plan. Moreover, using the list you can then sort your valuables. You might even find some that are fit for disposal. Especially electronic gadgets that are still functional but does not bring much asset to you anymore. If so, then you might want to check some a smart E-Waste What Should I do with IT article for useful tips for this one too. Going back, in order to protect your valuables from scratches, dusts, mildew and moulds, you need to apply these ways on how to pack your things properly. Wrap each item with paper or bubble wraps before packing. Group the items in one box and put a label on it. Pack the fragile and breakable items separately. Fill the boxes up to its capacity. With no void spaces left for the items to move. Seal the boxes tightly with packing tape to avoid dusts, mildew and moulds. Make sure that the item is not wet before packing. Clean the appliances and furniture before wrapping. Use special boxes for mirrors and picture frames to avoid breakage. Hang your valuable clothes in the Porta Robe. Pack heavy items in a small box to limit the weight of it. Overall, these self storage tips give you the ways and ideas on how should you store your valuables and belongings. Together with the experience and expertise that we have, we aim to provide you with the most convenient service you could ever have. So, what are you waiting for? Start storing your things with us today. Also, read our Self Storage Packing Supplies blog to know how to efficiently use the different packing supplies. For more inquiries, visit our website at macysmobileselfstorage.com.au or call us @ 1300 40 90 69. This entry was posted in Storage and tagged self storage, self storage facility, self storage sydney, self storage units.